The primary computer workstation. Hard at work on the new novel, this picture shows many of the items necessary for artistic inspiration. 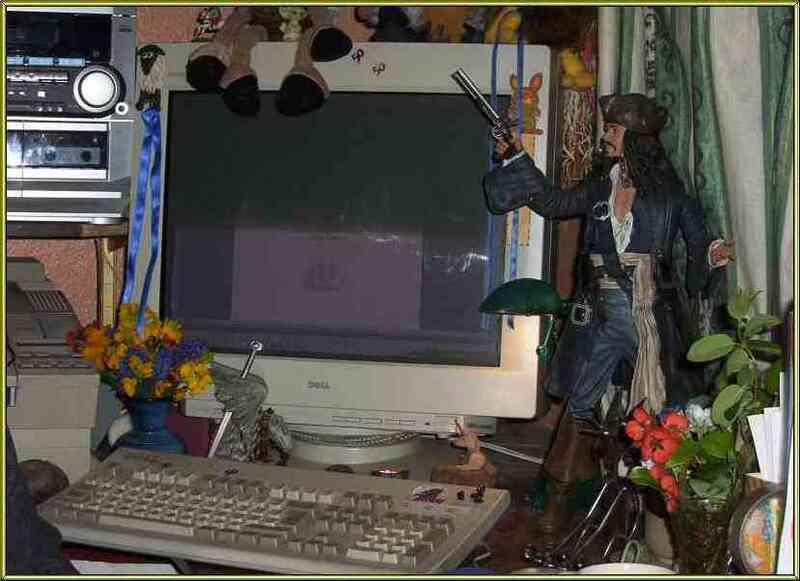 Notice the music stack at top left, the belligerent piratical figure and a vast selection of paperweights.